Anyone who follows my blog even a little knows that we are a science-loving family. 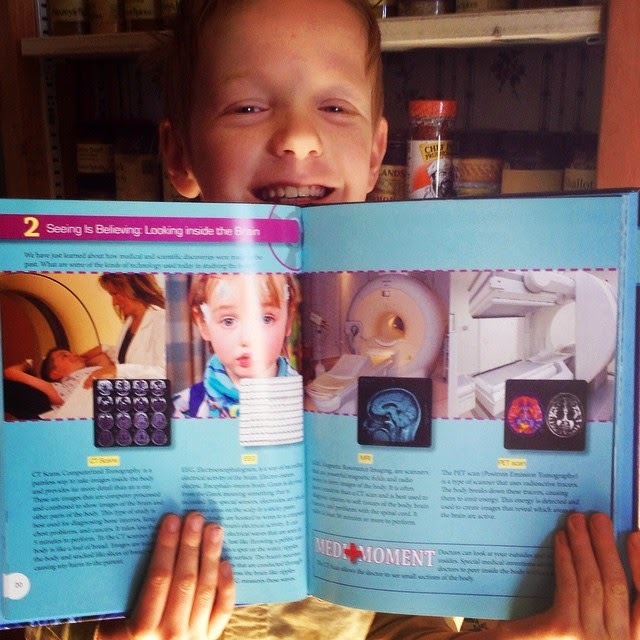 So learning that the newest Moms of Master Books title was going to be a serious science resource was exciting. God's Wondrous Machine is a brand-new series by a homeschool mama physician, Dr. Lainna Callentine. The first title is The Electrifying Nervous System, and it is a winner. This series is planned to include NINE books in total, with The Breath-Taking Respiratory System being next, and The Complex Circulatory System coming third. And I don't even know where to begin in describing this book. I've seen various ages mentioned as far as who this book is for. K-8. Grades 4-6. Elementary (lower and upper). 3rd-6th grades. Personally, I wouldn't choose to use this with a child in younger elementary ranges, except as a tag-along with an older sibling. And I can totally see this as a middle school resource. I'd peg 4th-8th grades as being ideal. But maybe I'm just out of practice with younger elementary ages. And I haven't actually used this. January has been an insane month, plus I really want to get the Parent Lesson Plan to go with this book. And I want to get some "stuff" to go with the book too. I want to be doing some dissections, and a whole lot of hands-on. So I read it myself. So what do I love? First off, there is some serious vocabulary in here, and that is color-coded so you know which words to emphasize with the younger learners, middle learners, and older ones can do them all. The first level includes about a dozen words like neurons (the easiest word on the list, I think), cerebrum, and parietal lobe. Level 2 is even shorter, with words like blood-brain barrier, corpus callosum, and homunculus. Level 3 is much longer, including even more specific words like diencephalon, ventricles, and hypothalamus. All of these words are defined in the beginning of the book, and they are explained in context when you get to them as well. Another great aspect of the book is the illustrations. Dr. Callentine explained somewhere that she is very image-oriented, and she always illustrates her notes in class or even her sermon notes. The examples she showed were mostly drawings with very few words. That visual aspect comes through in the book too, and it is wonderful. Like this page, showing some of the technology used when studying the brain today. This page has images of the machines used, it shows what the results look like, plus plenty of explanatory text. Seriously, I'm learning a ton. Can't wait to actually use it with the kids. What I really love, though, is just how thorough this is, while still being so engaging. She covers history, including naming a whole lot of people (I love when I can get scientists into my science studies! ), she covers the biology aspect, she covers medical aspects, she covers health and nutrition, she covers careers, and she even includes sections with dumb jokes, great quotes, and crazy trivia-types of facts. This is my new favorite for upper elementary/middle school science. 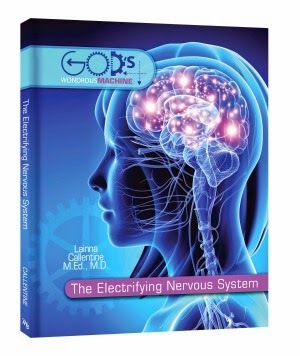 Go see what other Moms of Master Books have to say about The Electrifying Nervous System. There is a Book and a Treat Facebook party coming up tonight, January 26 at 7:00 pm Central Time, where you could win cool prizes -- and discuss the nervous system too. Disclaimer: I received this book for free from New Leaf Publishing Group as part of the Moms of Master Books program. No other compensation was received. The fact that I received complimentary products does not guarantee a favorable review.